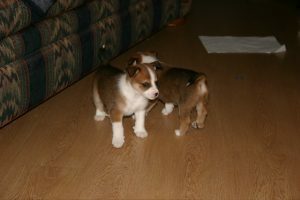 Housebreaking a pet is all about patience, consistency, and positive reinforcement. The aim is to encourage good manners and habits, and build a loving relationship with your pet. Usually, it takes about 4 to 6 months for a pet to be completely house trained, but can vary depending on the breed and size. For example, smaller dog breeds have a faster metabolism, and therefore require more frequent trips to take care of “business”. Before starting the housebreaking process, make sure you are aware of the dos and don’ts. Take your pet to the same spot every time. Cats and dogs usually pick up their scent and go to the same place. When your pet dumps outside, be sure to praise him and offer a treat. 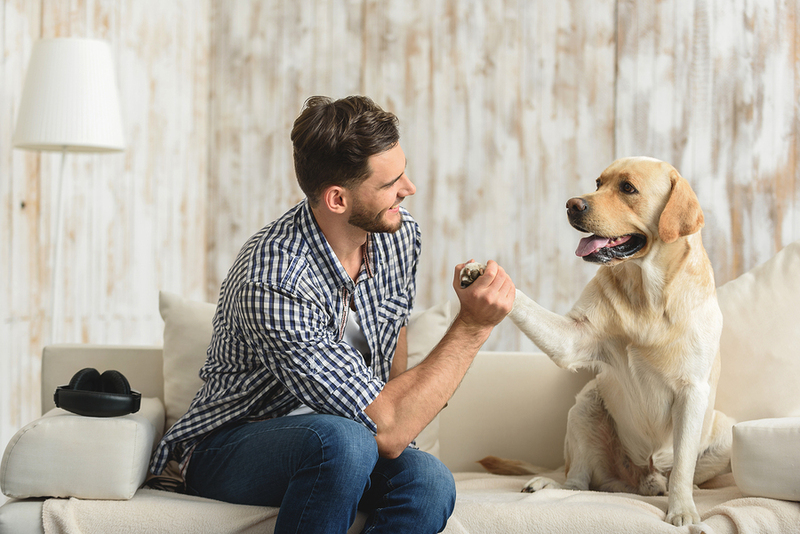 Employ positive reinforcement by not punishing your dog after a mistake, instead keep your cool, and quietly place your pet on the spot where you want him to go. Take your pet (cats and dogs) out to eliminate waste in the morning and then repeat the process at an interval of every 30 to 60 minutes. Before tucking her in for sleep, make sure she goes out one last time. Supervise your pet. Keep an eye on your puppy and look out for any strange movements, such as howling, silly dancing, barking, squatting, restlessness, scratching at the door, and moving in circles, as these can indicate that your pet needs to go. When you notice these signs, quickly grab the leash and take her outside to the designated bathroom spot. If she dumps on the right spot, don’t forget to praise her. If you find your pet in the act of eliminating waste indoors or anywhere that’s not the bathroom spot, interrupt him quickly and firmly say “Outside!” while carrying him to the bathroom spot. This way, they will eventually start associating “outside” with the designated bathroom. If your puppy does soil a place, make sure to thoroughly wipe the area as puppies follow their scent and become highly motivated to dump in the same grounds. Use an enzymatic cleanser in place of an ammonia-based cleanser to reduce odors. Do not leave your puppy roaming around in the house unsupervised. Not doing so will make your pet much more demanding and rebellious. Never shut the door while your pet is eliminating. He should always be able to clearly see you from his spot. Don’t lean into the crate and try to sweet talk as it will make your pet anxious and he will try to get out. Avoid leaving your pet isolated in her den or cage for long periods, as it can be lonely and depressing. When dissatisfied with your dog’s behavior, do not make matters worse by yelling or beating his rear end. You can show your disapproval by using cues, such as “No!” or “bad doggy”. Many dog owners pick up their pup to take him outside. Even though picking pups temporarily delays the need to dump, all the hustle leaves your dog confused and shocked. If this continues, he may not see the reason why he was taken out and thus develop a sense of fear or lack of trust in the family members. And of course, this will delay the time needed by your puppy to fully get trained. Housebreaking a pet is indeed tedious, but with love and patience, your pet will better be able to learn what is expected of him and act accordingly.